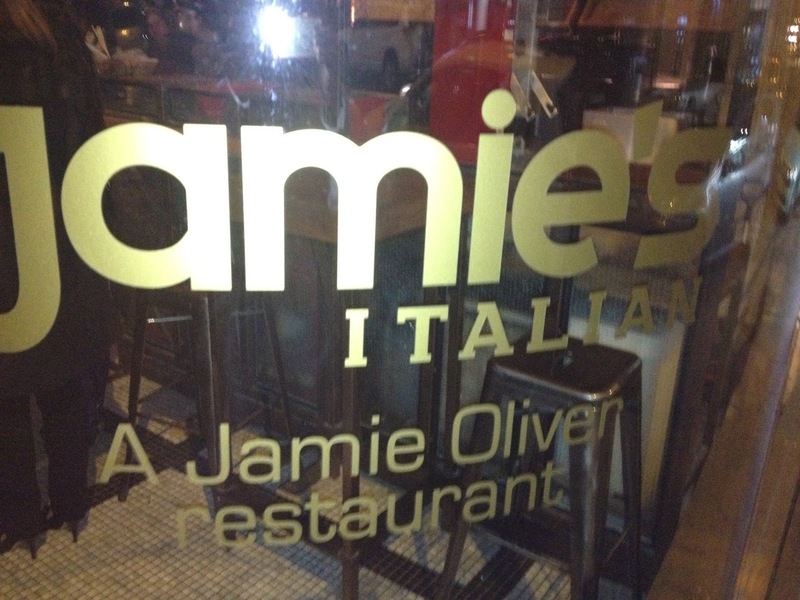 Jamie’s Italian was on my short-list of restaurants to visit in Sydney. We saw on their website that no reservations were required for booking of less than 6 people. 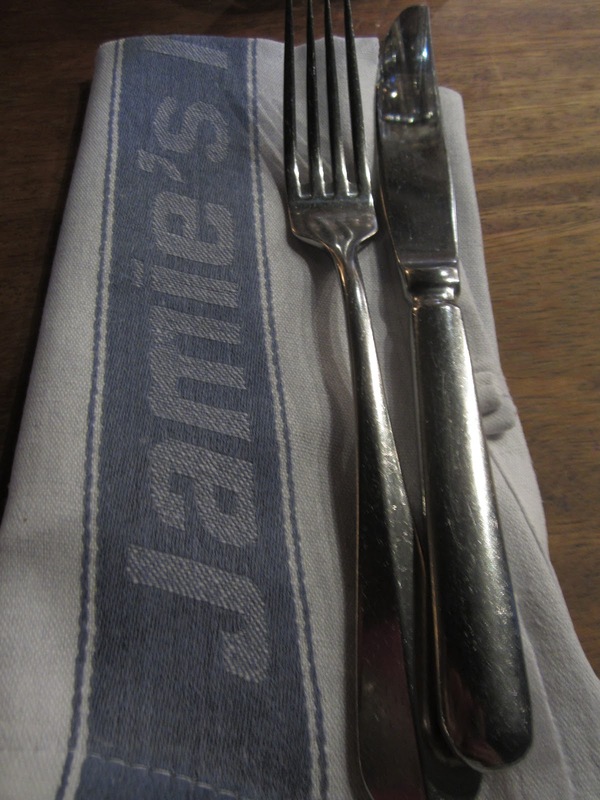 When we turned up for dinner on a Friday night, we were told that there was a 2 ½ hours wait for a table. It was 7.30pm, I was famished and didn’t want to wait till 10pm for dinner! We decided to go somewhere else and come back the next day for lunch. The next day, which was also our last day in Sydney, we decided to go early to make sure we got a table. We reached just before 12 noon and most of the tables were still empty. Phew! The lighting was a bit dark in the restaurant and my pictures did not turn out well. So, please forgive me for that. 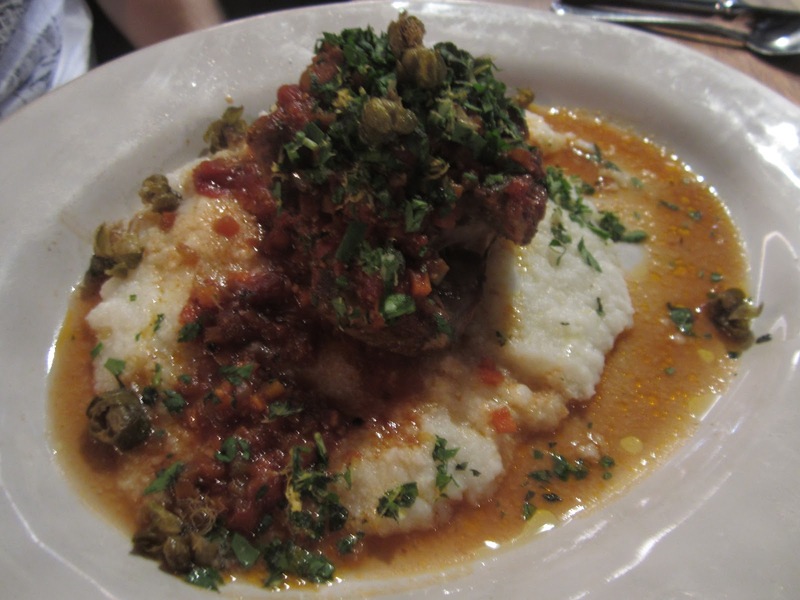 The dishes were quite reasonably priced, which took me by surprise. Some of the Italian restaurants in Brisbane’s suburbs are charging a lot more than that. With that in mind, I was not hesitant to order a couple of dishes. 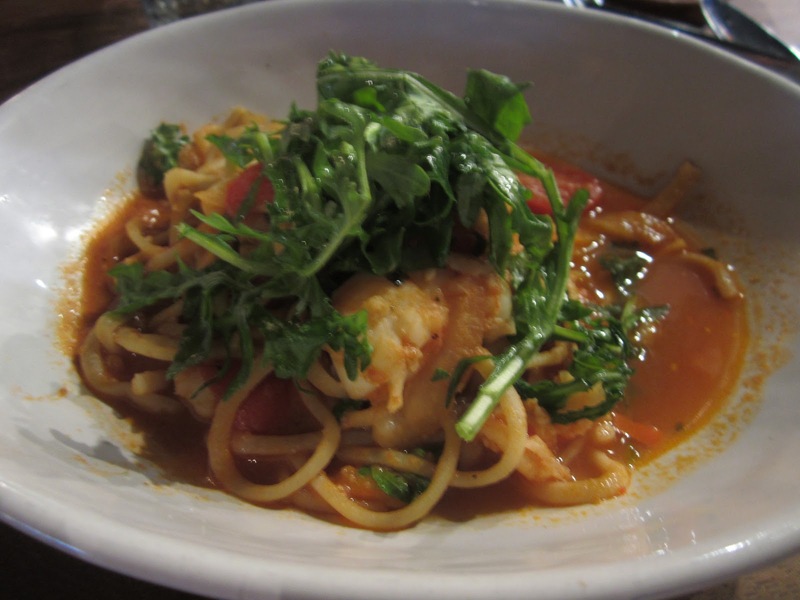 I ordered Prawn Linguine ($16) for entree and Slow-Cooked Pork Shoulder with Polenta for mains ($22). The Prawn Linguine was mind-blowing with a great big chilli hit. I did not expect it to be that spicy, but it really liked it! The pork shoulder fell off the bone and was moist and tender. 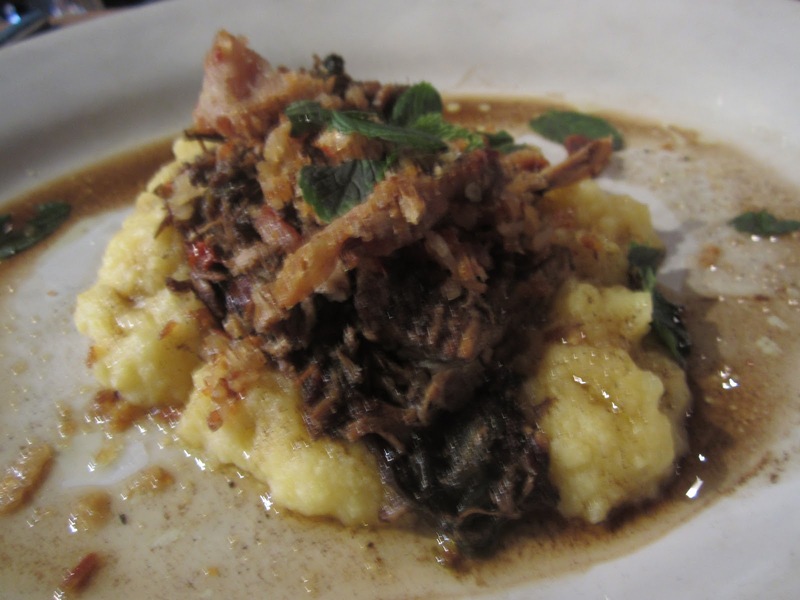 The crispy crackling was a wonderful contrast against the smooth textured polenta. 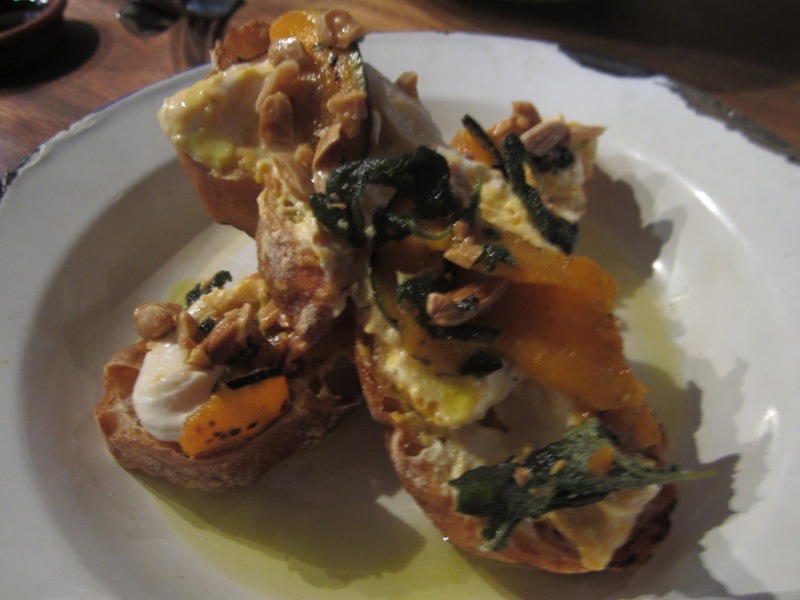 There was also a slightly zesty taste which helped to tie the dish together. Yum! The other dishes ordered from my table were Crispy Squid ($12), Risotto Milanese ($21), Osso Bucco ($26), Specials of the Day Bruschetta with Pumpkin ($12.50) and Specials of the Day Pasta ($24.50). 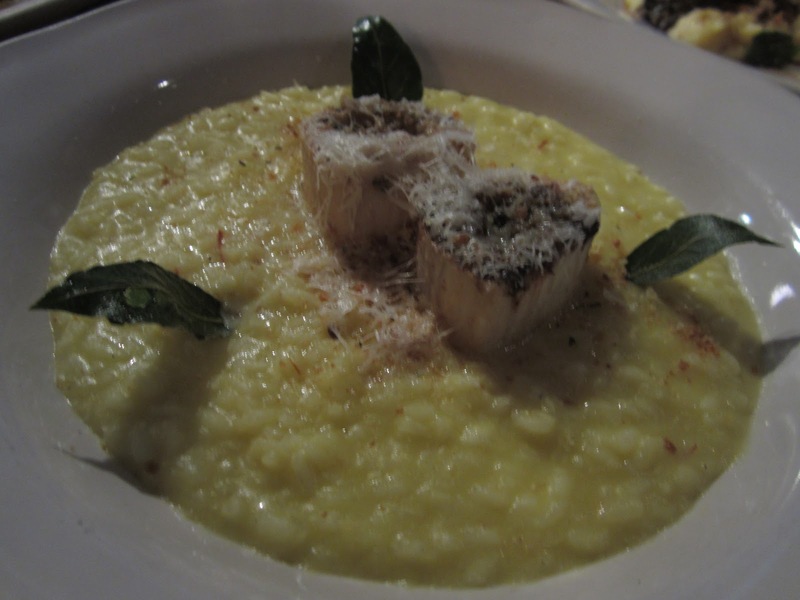 Apart from the crispy squid which was quite ordinary and risotto which was too rich and buttery for our tastes, everything else was amazing! 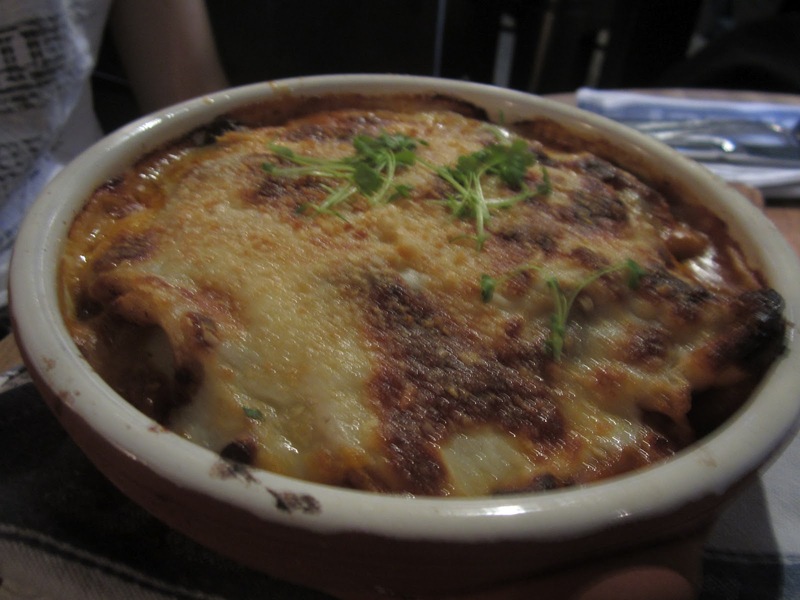 We really enjoyed the meal and would definitely recommend it! Thank you 🙂 Yeah, we had a good trip in Sydney.